It was three years ago now that I attended a training on group facilitation. I learned a lot at the training, but one of the things that stuck with me the strongest was something one of the other participants said in their mock session. This particular man worked in the tourism industry in Michigan on the very successful Pure Michigan campaign. For those of you not familiar with the campaign, it is a series of advertisements voiced by native Michigander Tim Allen of television’s Home Improvement fame. His distinctive voice touts the many attractions of the Great Lakes State from coast to coast. It features small towns, big cities, and everything in between, each ad highlighting what specific locations had to offer. The ads were then played on radio and television both in and outside of Michigan. In 2013 the campaign attracted more than 4 million non-residents to that state up north who spent $1.2 billion while they were there. Put another way, for every $1 spent on the marketing campaign, $6.66 was spent by tourists visiting the state. The success of that campaign made me wonder what the secrets were. That became even truer when I started working in rural areas. After all, Pure Michigan highlighted small towns and big cities alike. So what were some of the things that enabled the campaign to attract people to out-of-the-way destinations? One possibility was that the marketing was centralized, including a centralized webpage that had links to different attractions across the state. People searching the website then had a chance to stumble onto other things they wanted to attend or try, important for smaller towns that probably do not have a large, well-publicized visitor’s bureau. In this day and age, the importance of a strong, mobile phone friendly online presence is paramount. Staying on-trend with social media platforms is essential. If people don’t know about it, they cannot come to it! Ideally, you are attracting people to your event or place of business from outside the area so that their money can flow into the local economy as well. It is also important to be realistic about what the attractions are. In the same presentation where I learned about the success of Pure Michigan, I also learned that on average, people want to have four hours’ worth of things to do at their destination for every hour they spend traveling to get there. This is important to consider when investing those advertising dollars. If you are going to promote an event that requires traveling to attend, make sure it is going to be worth the time it takes to get there! Finally, be strategic about your campaign. If you have a multiple-day event, promote those days when there are a lot of things to do and try to group your activities to appeal to people with similar interests. Draw a circle around your town and figure out how long of a trip it is to get to your location. For example, say you have a two-hour show and want to draw a bigger crowd. Pair it with dinner and advertise within an hour’s drive so it is worth people’s time to commute. Another way to make it worth the effort is to band together within a community and set up a tour of attractions. Pick a theme for your campaign and then spend some time considering who would be interested in that. 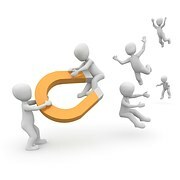 Most of all, think regionally and work together for maximum effect. What do we know about tourism in rural communities? 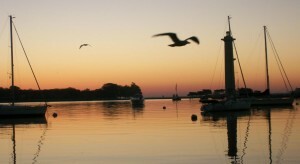 In many rural communities, tourism is a major sector of economic activity. It is in a strategic position to make a positive contribution to the sustainable development of rural communities and serve as a successful community development model. But how do we get at that benefit? How can tourism progress in a sustainable way as a tool of development? This question may seem to have an easy answer but can be challenging to resolve. This is especially apparent in Eastern Ohio. A recent influx of energy development in Eastern Appalachian Ohio has increased occupancy of hotels. In addition to the 95% occupancy rate, developers have built new hotels. This creates another question, how to maintain and sustain the tourism industry in rural Ohio? A case study was conducted of a county in Eastern Appalachian Ohio with a population of 42,000. In this community where 13 hotels are located, five have been built in the past three years. 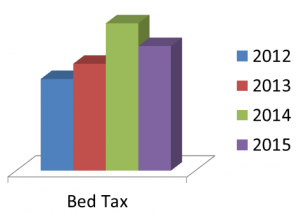 With the increased capacity and occupancy of hotels has come an increase in the bed tax. This year a decline has begun in the bed tax due in large part to the reduction in energy exploration. What is this community doing to sustain tourism now that there is a drop in revenue? If you would like more information about this or other related research, please contact Cynthia Bond at bond.227@osu.edu. Tourism is one of the fastest growing industry sectors in Ohio, growing two times faster than the overall employment in the state. In 2014, the industry produced $40 billion in business activity, accounting for $11.4 billion in personal income and almost 9% of jobs in Ohio (Tourism Economics). The Tourism Toolbox website was developed in 2009 by the Ohio Tourism Team, a public/private partnership involving OSU Extension, the Ohio Sea Grant Program and other partners including the Ohio Travel Association (OTA), for researchers, organizations and businesses interested in learning more about the industry. The site serves as a one-stop resource for starting a tourism-related business, creating a community plan, tracking industry trends, or accessing current resources, among other topics and reports. For example, a new report addressing the Ohio tourism industry’s core competencies, training needs and delivery preferences, Ohio Tourism Industry Needs Assessment 2014 Report, is now available on the site. The site was recently updated and content was transferred to the Extension Community Development site, currently accessible at: comdev.osu.edu/programs/economic-development/ohio-tourism-toolbox. Lake Erie is arguably one of the most important lakes in the world. It’s the southernmost, shallowest, and warmest of all the Great Lakes, which makes it the most productive. While power generation is a major use of Lake Erie water, the most important may be that it serves as drinking water for 11 million people. It’s also an unmatched recreational resource for Ohioans as over 30 million people live within a day’s drive. While fishing is king in the “Walleye Capital of the World,” people come from all over to enjoy boating, beaches, sailing, diving, birding and a variety of other outdoor activities. This amounts to around $11.5 billion and 117,000 jobs annually from the eight Ohio counties bordering Lake Erie. This is more than a quarter of the tourism revenue for the entire state. In order to keep reaping the benefits of the resource, we need to keep taking care of the resource. With that in mind, Ohio Sea Grant has identified six critical issues that we’re working on to make sure we sustain a healthy Lake Erie. Sedimentation and dredging: When we get big rain events, we get a lot of dirt flowing into Lake Erie. Shipping lanes get full and need dredged, which comes at a big cost and can stir up toxins that have settled to the bottom. Phosphorus and nutrient loading: With the sediment comes the phosphorus and other nutrients. It can come from agriculture, urban runoff, combined sewer overflows, over fertilized lawns and a handful of other sources. It’s basically fertilizer for algae. Harmful algal blooms (HABs): When there’s too much phosphorus and the water gets warm in mid to late summer, we see major blooms of blue green algae, aka cyanobacteria, that can produce very powerful toxins. You shouldn’t swim in the blooms, and definitely don’t ingest it or let your pets drink it. If it gets in drinking water supplies it can be difficult to treat, which was the cause of Toledo’s issues last summer. Dead zones: As the algae and other living things die and break down at the bottom of the lake, vital oxygen gets used up. Sometimes this can cause pockets of no oxygen where fish and other aquatic life cannot survive. Aquatic Invasive Species: There are dozens of plants and animals that have been introduced to Lake Erie. They often out-compete our native species. This can cause irreparable damage to the ecosystem and cost millions of dollars to try to combat. Climate Change: We’ve seen more intense storms more frequently, and warmer temperatures more often. This can make the other issues even worse. Despite all of these issues, Lake Erie is still Ohio’s greatest natural resource and a great place to visit no matter how you prefer to enjoy the water. So how can you help keep the critical issues in check? Use phosphate-free lawn care products. Regularly check your septic system. Damaged septic systems can contaminate nearby waters. Reduce the amount of water you send to the water treatment plant. Install low-flow toilets and rain barrels. Plant native plants along shorelines and ditches. These plants can filter out fertilizers and are essentially maintenance-free. Check out ohioseagrant.osu.edu for more information, or contact me if you have questions. Enjoy the rest of your summer, and I hope to see you up here on Lake Erie!